Hello Folks !! We have launched our New Whatsapp Broadcast Service. We are already sending you latest deals and offers alert on your email and via chrome push notifications. 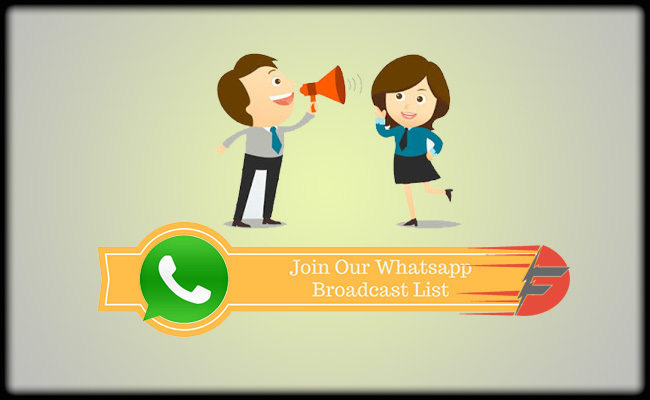 Now you can subscribe to our Whatsapp broadcast service to get alerts through Whatsapp. You can subscribe to our Whatsapp broadcast service by following the steps below. Important Note: We will not reply to your query on whatsApp however “Website comment Field are always welcome”. 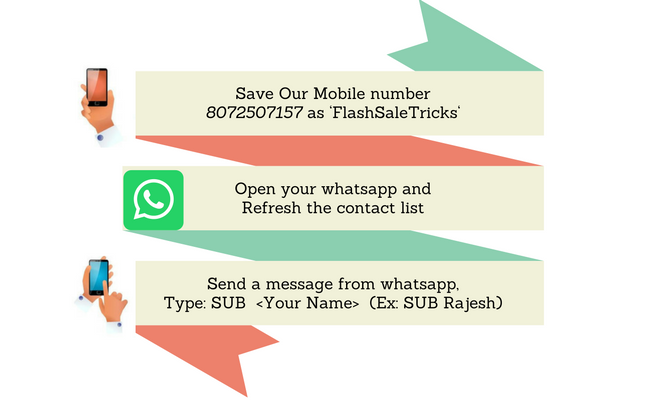 (Dont try to send many SMS on whatsApp it may lead to permanently banned from broadcast). We respect your privacy so we are not going to share your number with anyone. 1. Don’t message us again and again. We will try to add you as soon as possible. 2. If you have any problem regarding tricks or offer then please use website comment to get answers. We are not going to reply any query on whatsapp. 3. If you try to spam us more than 2 times then we will remove you from broadcast group and block you.